Abdallah Rothman joins another episode of the Coffee with Karim podcast to discuss approaching theory and practice of Islamic psychology. He gives an intro to how it works and what principles can help believers find more peace and flow through life challenges. How do we foster genuine connectedness? How do we authentically relate to those around us, to our families, to ourselves and to God? How can we be mindful of our interactions and honour the potential for growth in each moment? This two-day programme facilitated by Abdallah Rothman aims for participants to become better equipped to develop self-awareness in their relating to others, to themselves and to God. The weekend will have a strong focus on the notion of heartfulness, an Islamically based approach to mindfulness, which underpins the process of becoming more present and effective in our relationships, both horizontal and vertical. Here is a video of one of the classes that Abdallah Rothman taught on the week intensive course on "Islamic Psychology and Psychotherapy" in Istanbul July 2018. Here he draws out the model of the soul that was a result of his research, and explains how it is conceptualized and how it applies to psychology and psychotherapy. 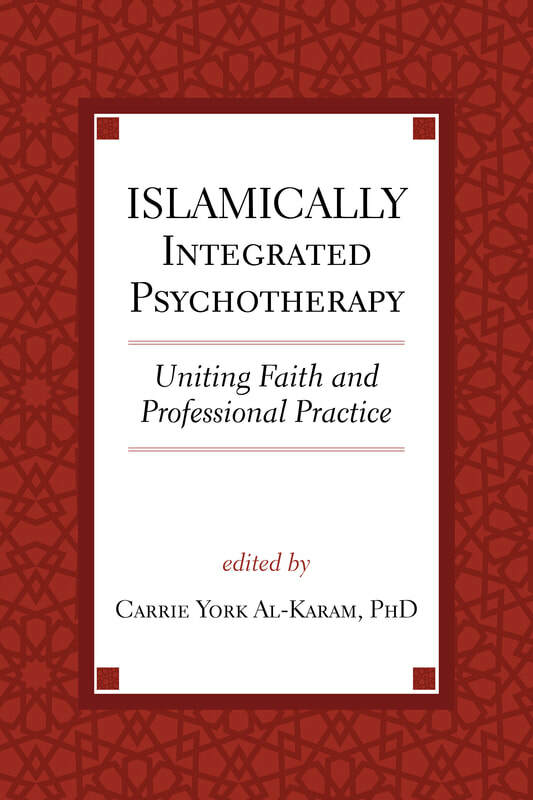 "A vital resource for Muslim and non-Muslim clinicians alike as well as the lay Muslim reader wanting to know more about how the Islamic faith and psychotherapy are engaging with each other in a modern clinical context." ​Abdallah Rothman’s chapter begins this volume by distinguishing between Muslim mental health and Islamic psychology and asserting the existence of and need for a uniquely Islamic paradigm of human psychology. He goes on to describe how Islam can be viewed as a system for psychological wellbeing or a ‘science of the soul’ and how he operates from within an Islamic theoretical orientation to psychology. He concludes by giving examples from his clinical practice of how he works with his clients by employing uniquely Islamic therapeutic interventions derived from the Islamic tradition. The launching of the International Association of Islamic Psychology has just been announced. This is a historic landmark for the Muslim community, Muslim Mental Health, and the field of Psychology in general. While many scholars and clinicians have been developing the field of Islamic Psychology over the past 40 years, until now it has been little understood and little known within the Muslim community and beyond. The establishment of this prestigious professional society marks a turning point in that Islamic Psychology can no longer be considered an "emerging discipline" as it is now clearly defined and actively being engaged in and evolved by a large international network of scholars and practitioners. While there have been significant developments and increased awareness in the area of Muslim Mental Health over the past decade, for many the distinction between Muslim psychology and Islamic Psychology is not clear. 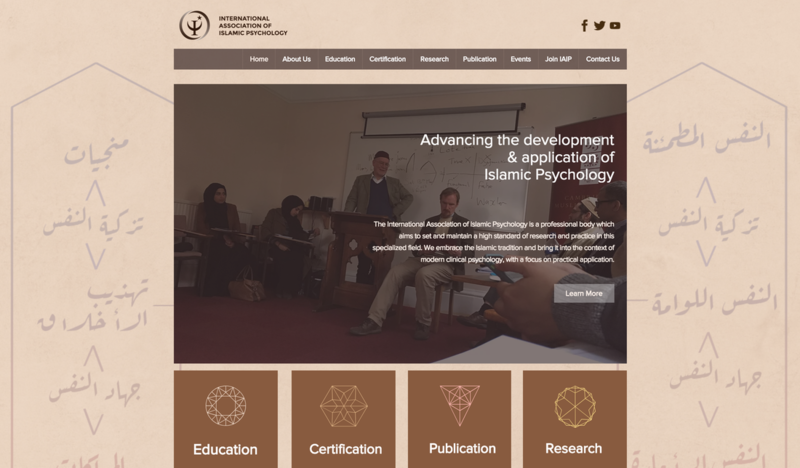 Now, with the existence of this organization, there is access to information, resources, and educational opportunities to learn more about what Islamic Psychology is and what it has to offer. 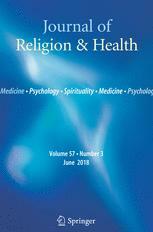 Read an article reporting the findings from the first of three studies that make up Abdallah Rothman's doctoral research on Islamic psychology, published in the Journal of Religion and Health. A uniquely Islamic theoretical framework for an Islamic psychology has yet to be established. To do so requires that we understand how human beings are conceptualized within the cosmology that characterizes the Islamic tradition. This paper presents a model of the soul from within an Islamic paradigm, generated through a grounded theory analysis of interviews with 18 key informants with relevant academic or religious expertise. The model elaborates aspects of a mechanism for the development of the soul that constitutes a potential foundation for an Islamic theory of human psychology and has particular relevance for Islamic approaches to psychotherapy. Abdallah Rothman was invited as a guest on the Coffee with Karim podcast. He shares how he traveled the world and sat with Gurus, Rabbi's, Monks and Rastafarians during his spiritual quest. He discusses how his spiritual journey ultimately lead him to both Islam and psychology and how he sees the integration of the two in his work. Abdallah Rothman along with Rasjid Skinner and Malik Badri presented to students and faculty at Zaim University Istanbul on the topic of Islam and Modern Psychology. In this video Abdallah discusses the potential that Islam has to offer to modern psychology. He asserts that Islamic Psychology is not a religious psychology only for Muslims, but that it stands to offer great insight into human psychology and contribute significant advancements in the modern field of psychology and psychotherapy. Abdallah Rothman was recently invited by Professor Malik Badri to speak to his students at Zaim University in Istanbul, Turkey. He was asked to speak on the topic "Why Islamize Psychology?". Abdallah explains how making psychotherapy more user friendly for Muslim clients by changing the use of terms and cultural or religious references is helpful, but that this approach may not be making the most of the resources at our disposal within the Islamic tradition. He therefore proposes a change to the topic question to "Why Psychologize Islam?". To view a video of the talk with Abdallah Rothman and Malik Badri, click here. Adolescence to early adulthood is a natural time of self exploration and discovery that shapes who a person will become. When young people lack the right resources to support them through this developmental stage, it can create imbalances that affect their character, motivations and behavior. Research shows that meeting young people where they are and supporting them from within the lens of their worldview is the most effective way to reach them and positively impact their development.